In adajusa.com we put at your disposal an extensive variety of mini-contactors so you can buy just the one you need. 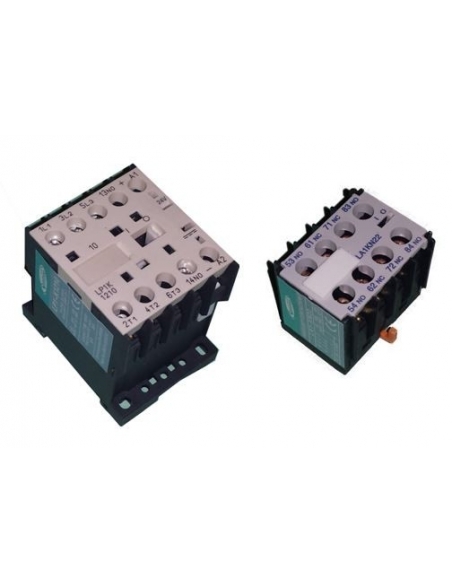 In addition, here we offer a series of accessories or elements designed for three-phase minicontactors (3 poles) of type LC1K and LS Industrial Systems so you can complement your installation in a safe and effective way, such as, for example, contact blocks equipped with contacts auxiliaries, among other auxiliary elements. In this section, you will be able to find several minicontactors with different coil voltages with different intensities that oscillate between 9A to 16A, as well as, with several auxiliary contacts closed and / or open. 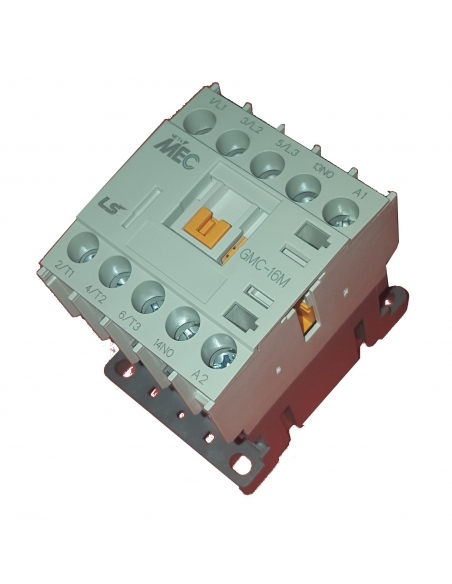 For its part, you can purchase accessories such as contact blocks equipped with various auxiliary contacts. Do not hesitate and stand for the safety and quality offered by all our products. 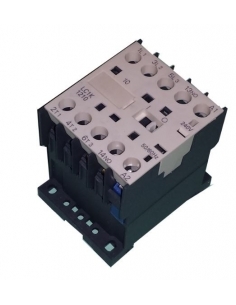 Three-phase mini-contactors (3 poles) and accessories. 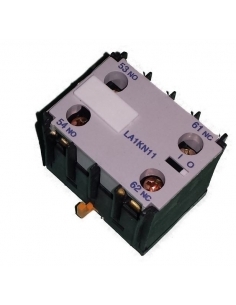 Three-phase minicontactors and accessories type LC1K for motor control and electrical elements in general, various coil voltages and combinations of contacts. Possibility of mounting auxiliary elements. 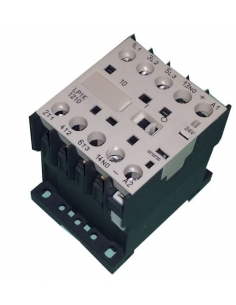 Three-phase mini-contactors and accessories, LSis brand, for motor control and electrical elements in general, various coil voltages and combinations of contacts. Possibility of mounting auxiliary elements.